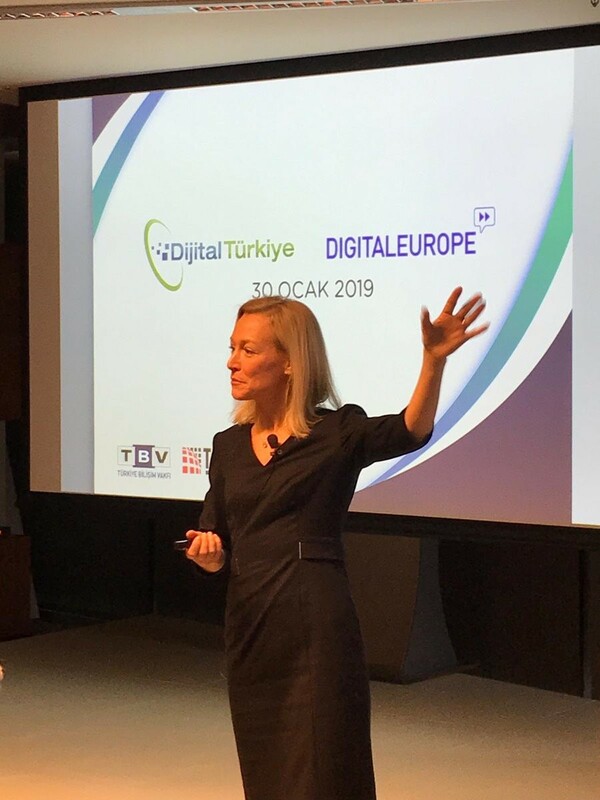 DIGITALEUROPE sent a delegation to Turkey on 29-31 January to support its two trade association members Digital Turkey Platform, led by TBV, and ECID. The delegation was made up of Cecilia Bonefeld-Dahl, Director-General, Ray Pinto, Policy Director and Kivanc Akil, Events Manager. 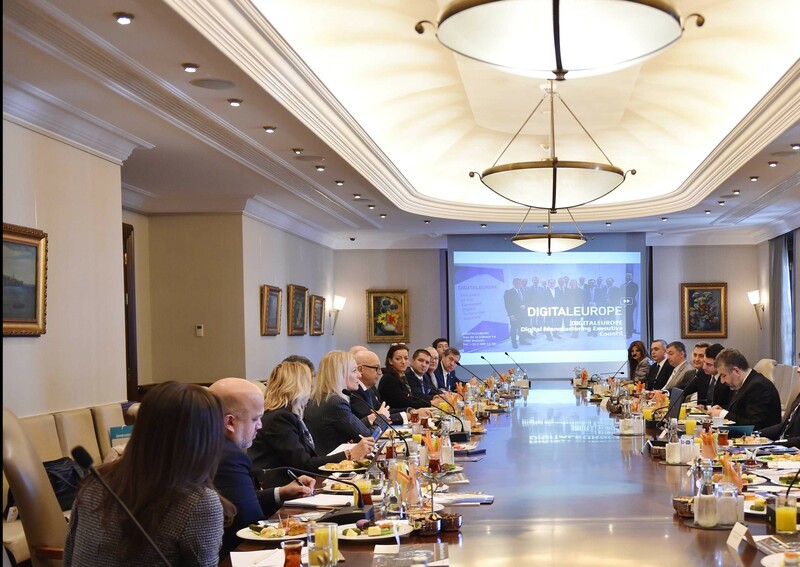 The objective was to engage both the newly formed Turkish government and leading manufacturing and technology companies including Arçelik, DIGITALEUROPE’s first corporate member from the region. The meeting was auspicious as the digital transformation will help both the EU and Turkey, strong European economies, to greatly benefit from its relationship in the customs union. For example, in 2017 Turkey was the 13th largest country in the world by GDP, and in 2016 it had the third lowest public-debt-to-GDP ratio. Comparatively, the EU average stands at 28.3%. 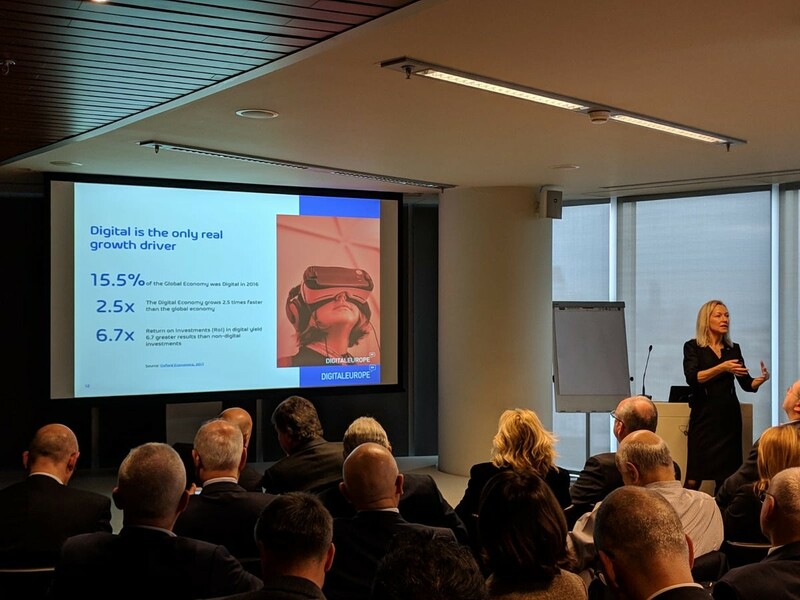 The DIGITALEUROPE delegation engaged in discussions with industry in Istanbul on the occasion of the publication of the report on Turkey’s digital transformation by TBV. 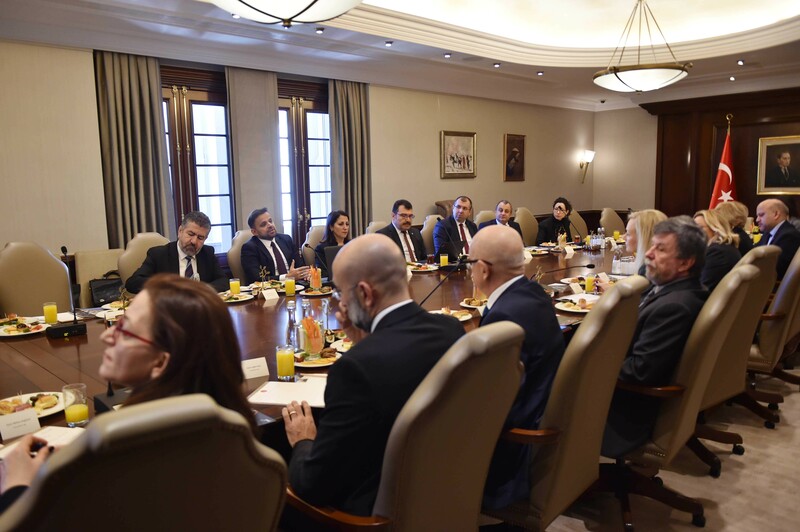 They then travelled to Ankara to meet with Mr Ali Taha Koç, President of the Digital Transformation Office, and Deputy Minister Gonca Yilmaz Batur for trade. 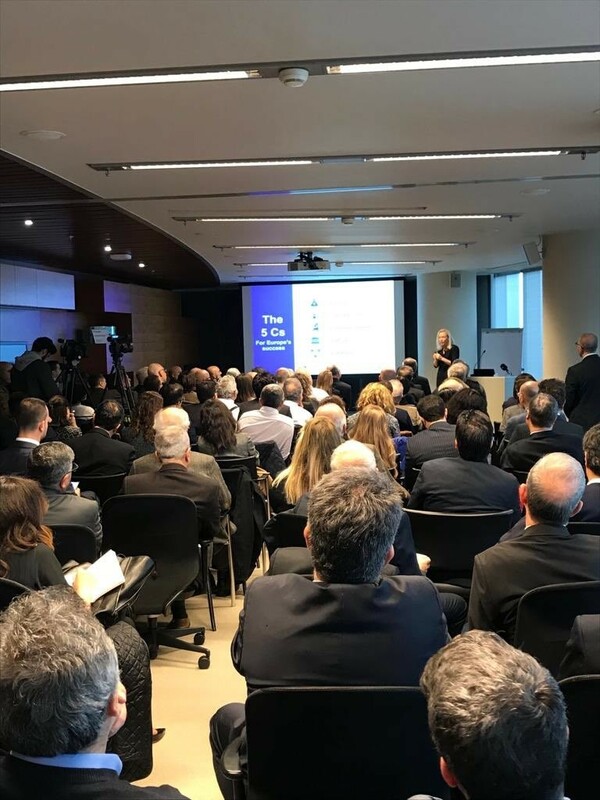 All the sessions were hosted by the President of TBV Mr Faruk Eczacıbaşı who firmly believes the future success of Turkey and the EU is strongly intertwined in the digital transformation of European industries. 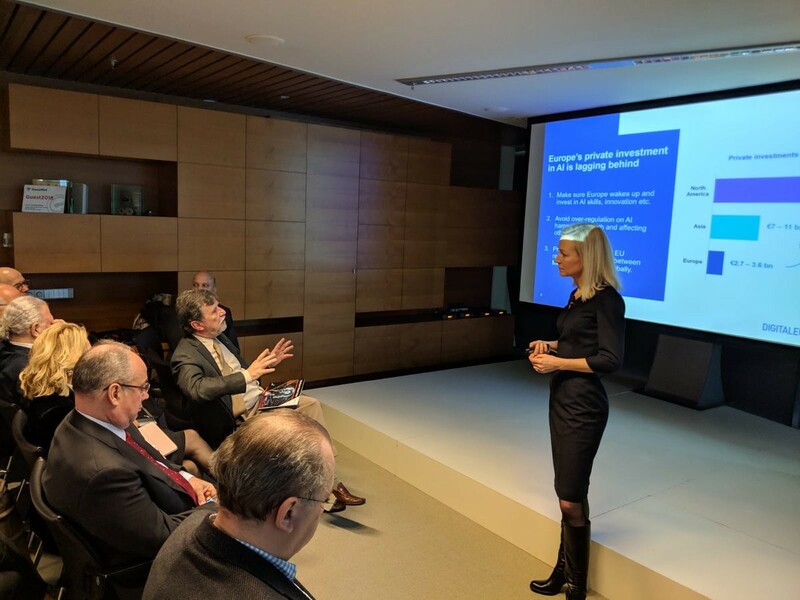 Director-General Cecilia Bonefeld-Dahl led discussions on the opportunity for both regions to accelerate flows of data that will be critical to innovative services and the creation of world-class companies. More importantly, the development of analytics and machine learning will bring advances in medicine and the preventive treatment of life-threatening diseases. Cecilia Bonefeld-Dahl emphasised that nation states should not look inward but invest in collaborating more with third countries like Turkey. Being a member of the European Commission’s High-Level Expert Group on AI, Cecilia Bonefeld-Dahl recalled that the development of new technologies will mean a continued focus on removing the bias on data. Ethical development of AI means producing results that can be verified to not discriminate or infringe on the human rights of EU citizens. There is also an ethical obligation for governments to ensure these technologies are being utilised to its fullest as there is a potential AI will lead to improving the lives of humans and finding solutions on the biggest issues such as climate change, food shortages and energy scarcity. To ensure such benefits can be fully exploited, all European countries including Turkey need to work together to ensure the key building blocks of innovation are in place. This will require the infrastructure for ubiquitous connectivity. Data can only be effective if it can flow at very fast speeds to industry and citizens. For the future of the internet of things, connect vehicles, and medical research will need reliable and fast broadband. Another crucial area is Research which is capital intensive but also the beating heart of innovation. 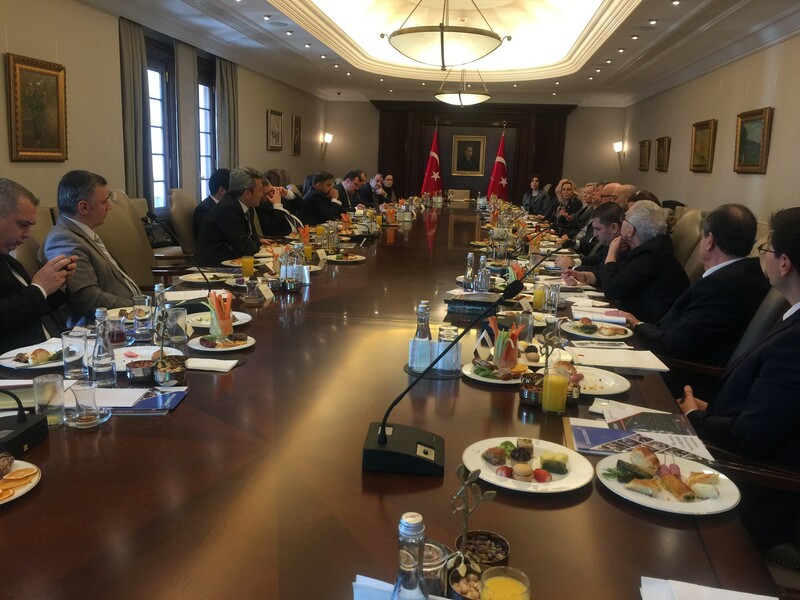 Both industry and governments need to invest in this area and success will only occur if both Turkish and EU research institutes and corporate labs are working together. Turkey has a high level of qualified engineers and researchers that can contribute to the Horizon funding programmes. Being in the customs union also requires efforts to harmonise with EU regulations. 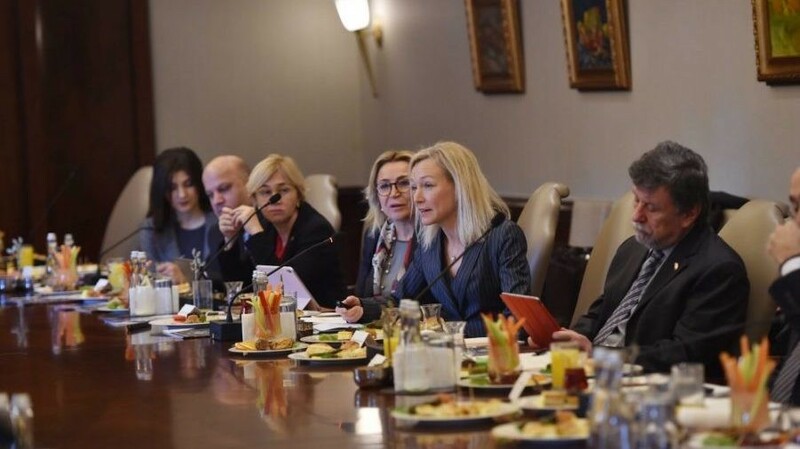 Turkey will need to complete its journey in developing a compatible regime to the General Data Protection Regulation where the data of EU citizens will receive adequate privacy protections. It will be required to engage in the dialogue on cybersecurity certification to avoid any blockages in delivering and protecting data securely. Turkey will also need to continue its drive for open data where governments are sharing vital data that can flow freely over borders. The area that has the strongest attention is the role of developing digital skills. The gap is growing, and joint EU initiatives and cooperation will be needed to re- or up-skill workers as well as transforming the education system to be fit for purpose to empower today’s youth to be prepared for what the future brings. The team felt confident that this is the beginning of a fruitful relationship and stronger ties between Digital Turkey Platform and DIGITALEUROPE.